One of the joys of a cross-country auto trip is the unexpected discovery of rail lines. There's not much to see in this photo but track, but at least the Algers, Winslow & Western is proud enough of its operation to put up an attractive sign announcing its presence at this crossing of Indiana State Road 64 east of Oakland City, Indiana. The AW&W carried coal from mines near Enosville (later Enos Corners) and Cato, along the way connecting with the New York Central at Oakland City Junction. 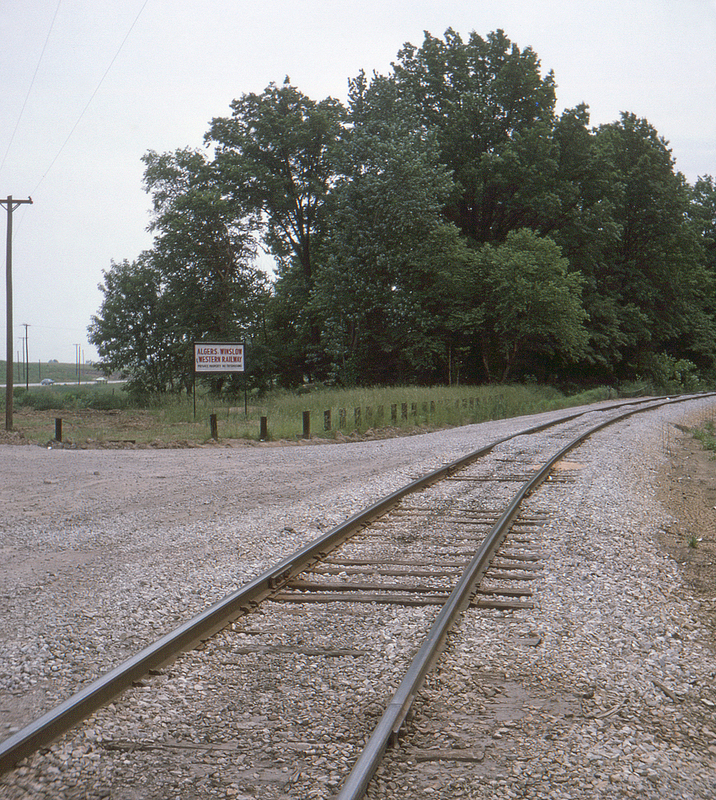 The previous year (1974) Southern Railway purchased a half interest in the road, with the other half owned by Old Ben Coal Inc. Although today owned by Norfolk Southern it still retains its original name.